Author seachranaidhe1Posted on June 11, 2012 June 11, 2012 Categories UPCOMING EVENTSTags celin, Central America, Coca-Cola, Costa Rica, El Salvador, El Tri, http www youtube, Mexico, Shopping, travel, United States, vacationLeave a comment on EL SALVADOR ! On behalf of the 17 million kids our Children’s Miracle Network Hospitals treat each year, thank you to Just Dance 3 for finding a way to combine their love of dance and family fun with their huge heart for giving back. By championing CMN Hospitals’ Dance Marathon program, they’ve helped raise critically needed funds. They’ve also generously helped to spread the word about the Dance Marathon movement that’s sweeping college and high school campuses nationwide. Thanks also to the 31,863 causes.com supporters who viewed the Dance Marathon video and contributed a donation by doing so! We were blown away by the response and were honored that we got the chance to share our cause with you. 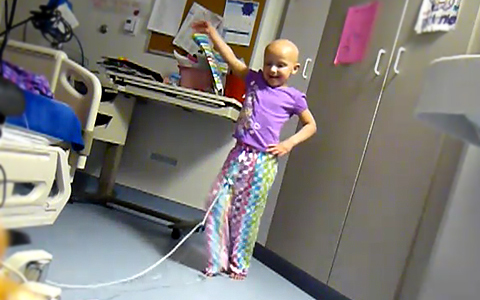 One of our Miracle Children, Rylee, just couldn’t resist showing off some of her dance moves in appreciation! 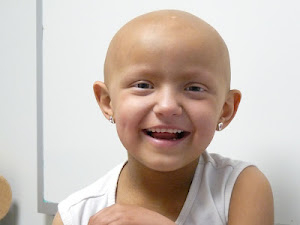 It’s because of Rylee and millions of kids just like her that we will keep fighting. We hope you’ll keep dancing to raise funds for these amazing kids. Last season, Just Dance 3 partnered with Children’s Miracle Network Hospitals to sponsor 18-36 hour Dance Marathons across the country to raise money for local children’s hospitals. Now you can get involved too – watch and share this video to spread awareness about the great work that CMN Hospitals does to help kids all over the country, and Just Dance 3 will donate funds to help local kids treated at 170 Children’s Hospitals across the United States. There are lots of other ways that you can get involved too – host your own Dance Marathon with Just Dance 3 at your school or organization to raise money, volunteer at your local hospital, or just help spread the message of the Children’s Miracle Network Hospitals cause. Ubisoft will give $1 (up to $20,000) to Children’s Miracle Network Hospitals for everyone who takes action! Meet Miracle Child. She is an exceptional dancer and a born performer. She loves hula-hooping, painting friends’ nails and singing. Her happy spirit and love for dance have brought smiles to thousands of faces. Miracle Child has battled cancer since she was 4 years old. After two bone marrow transplants, chemotherapy and radiation, her bright personality and love for dance still shined through. Miracle Child is now on the road to recovery. Through it all, she has allowed her love for life and joy for dancing to become her defining mark in the world. She is one bright story of many. The Children’s Miracle Network Hospitals and Just Dance 3 team want to thank you for taking the time to watch our video. Please invite your friends to help us reach our goal $30,000 goal, we are almost there! – We wrote/recorded and made a video for the song in ONE DAY! !- 1,500+ Views on YouTubein 2 days! !We’re excited about this song/video, so we’re making this event sooo that everyone else can see it as well!! Mikey J x GiNO – We Are Young Remix! !